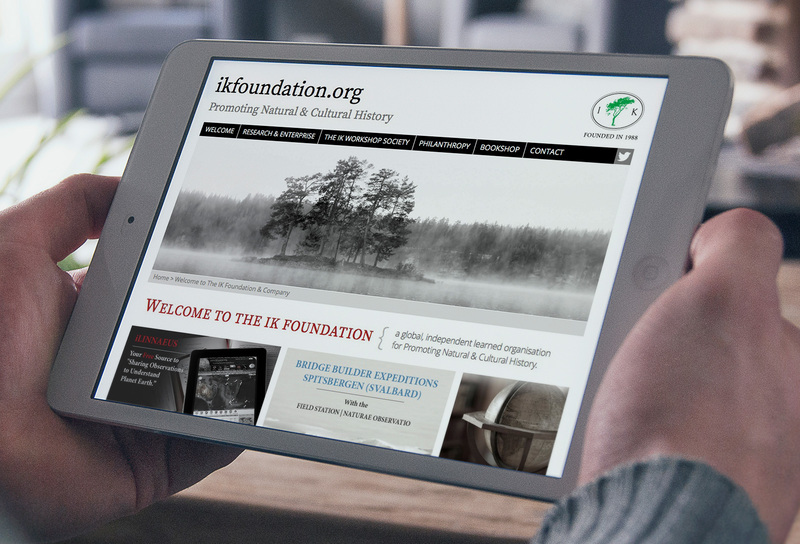 For more than a quarter of a century, The IK Foundation has striven for a better understanding of the natural and cultural history of the planet. The IK Foundation is dedicated to world wide research, expeditions, publishing, field work and sharing their knowledge. Human have been involved in numerous projects for the foundation, including book design, video production, exhibition design and website development. The website is constantly evolving with a wealth of new information being added on a regular basis. This involves us having to keep up to date with new technologies and interface design to make that information as user friendly as possible. Also see City Plan Hull and Amy Johnson Festival for more examples of website design.